This book describes in detail how Steve Jobs delivers (delivered) presentations that captivate(d) audiences and how an ordinary person can incorporate Jobs’s techniques into his own presentations. If you watch the now-legendary iPhone introduction in 2007, you can clearly see what’s so great about his presentations. Here is a link to a YouTube video clip of the presentation. This video has extremely large English subtitles, which is quite beneficial for your English studies. 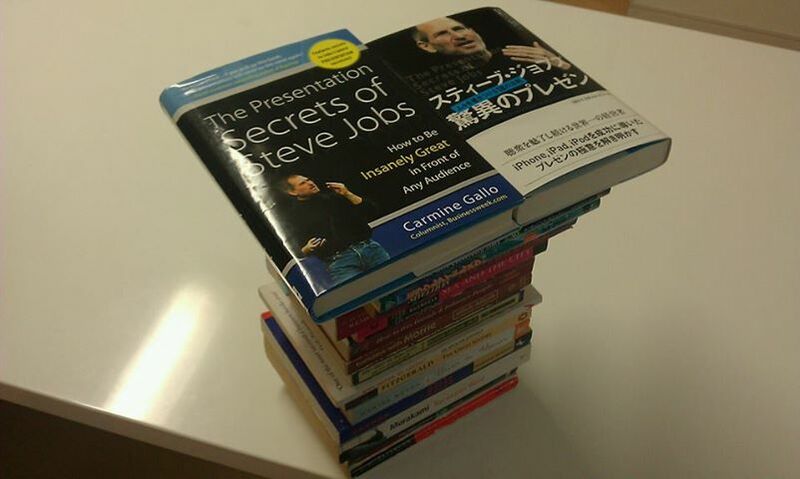 If you read this book after seeing some of Jobs’s presentations, you can understand much better what the author is talking about. I read this book first in English, taking my time, and then read the Japanese translation as rapidly as possible. That way, I can fully absorb and retain the content of the book. I think it’s also a good idea to read the Japanese translation first and then read the original English version. Highly recommended for everyone who has opportunities to speak in front of others (especially those who give presentations).